Earners are beginning to establish an online presence and are interested in practicing the skill of networking. 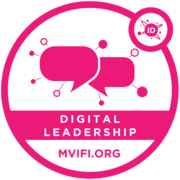 Recipients of this badge have an increased awareness of how to leverage social networks (Twitter, facebook, LinkedIn, etc.) to share, collaborate, and connect with outside communities. Also the earner is beginning to contribute to the thought leadership of their team through posts and comments.